﻿ " ERDA (WEST) Navi Mumbai "
In its endeavour to cater to the requirements of the industry, ERDA established a state-of-the-art Laboratory at Rabale in Navi Mumbai which is now NABL- accredited for Electrical Testing Discipline, vide NABL Certificate number T-2844 and for Electro-Technical Calibration vide Certificate No. C-1084. 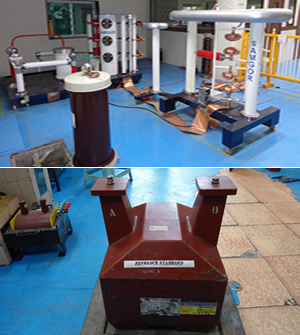 The certificate testing scope covers distribution transformers (up to 33kV, 200 kVA), CT / PTs (up to 3200 A, 33 kV class), high voltage impulse testing (300 kVp, 15 kJ), energy meters (up to 120A) and transformer oil in service. These newly accredited facilities include acceptance testing of the above products as per relevant Indian and International Standards. 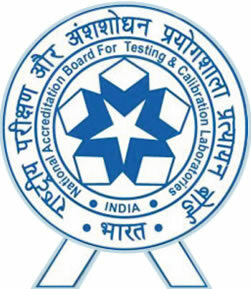 The NABL accredited calibration facilities include various electro-technical parameters. © Copyright 2014 ERDA (WEST). All Rights Reserved.